In the Gospels, the Master tells His disciples that "some will not taste death" before seeing Him come in His glory. This is a problem. Assuredly, all twelve of the disciples tasted death, and the Master has not yet come in His glory. He told them this just after dashing all their hopes to the ground. Without riddles or parables, Yeshua told them forthrightly that His plan was to go up to Jerusalem, to be arrested, to suffer, to die and to rise again. This news was terribly frightening to the disciples; it didn't seem to make any logical sense. They anticipated the Kingdom of Messiah to come with gratuitous displays of power. They expected Messiah to wrest back the throne of David. In contrast, Yeshua told them to expect arrest, suffering and death. However, lest they lose heart completely, he spoke of a time yet coming "...when [the Son of Man] comes in the glory of His Father with the holy angels." (Mark 8:38) Magnificent glory and holy angels are more of what one would hope for from a Messianic advent. Perhaps the disciples asked, "When? When will this happen? How soon?" It must be significant that the Gospel narrative immediately proceeds to set apart three disciples from the twelve. The Zavdai brothers (James and John) along with Shimon Peter are taken up onto the high mountain and given an amazing encounter with the Master in His glory. Are we to understand that these three disciples were granted a foretaste of the "Kingdom of God, come with power"? Each year, we disciples of Yeshua experience a similar foretaste of the 'Kingdom of God' in the annual celebration of the festival of Sukkot (סכות, Tabernacles). The Hebrew word sukkah means "a small shelter, stable or hut." These temporary, tent-like structures are often translated as "tabernacles" in our English Bibles. Sukkot is simply plural for sukkah. It is so named because Israel is commanded to annually build such dwelling places as reminders of the years when they lived in huts and booths, following God in the wilderness. Many beautiful traditions are attached to the annual festival of Sukkot. For example, it is traditional to invite guests into one's sukkah for a festive meal each night of Sukkot. Among the list of invitees are: Abraham, Isaac, Jacob, Joseph, Moses, Aaron and David. Each one is specifically invited to come into the sukkah. A chair is set at the sukkah table for one of these exalted guests each night of the festival. Obviously, Abraham, Isaac, Jacob, Joseph, Moses, Aaron and David are all unlikely to actually attend the meal, since they are all physically dead. That, however, is the point of the ritual. The Feast of Sukkot anticipates the Messianic Age  when the dead will be raised to life again and we will all, indeed, sit at the table with the aforementioned in the Kingdom of Heaven. Sukkot celebrates a time when all nations will ascend to Jerusalem bearing tribute to King Messiah, and each man will rest under his own vine and fig tree. Interestingly, the Gospel's descriptions of the transfiguration of Messiah are layered with Sukkot imagery. He took them upon a high mountain. The traditional location of the Mount of Transfiguration is Mount Tabor. However, Mount Tabor was populated, and it even boasted military fortifications during the First Century. It could hardly have been the lonely and isolated high mountain of the Gospels. Additionally, the Gospels set the context of the story in Caesarea Philippi which lies at the base of Mount Hermon, but is far from Mount Tabor. The geography of the story dictates the interpretation. Snow capped Mount Hermon is the high mountain of Caesarea Philippi. While at Caesarea Philippi, Yeshua had deeply alarmed His disciples with His talk of suffering and dying in Jerusalem. Their paradigmatic expectation of Messiah as a military and political conqueror prevented them from seeing Yeshua for who He truly was. On arriving in the region of Mount Hermon, He asked them pointedly, "Who do people say that I am?" (Mark 8:27) "Some say Elijah; and still others, one of the prophets," they replied, but on the high mountain, they would learn that He is greater than Elijah, even greater than Moses. He is more than a prophet. In terms of life and death, Moses and Elijah form an interesting pair. Whereas Moses died, Elijah did not. In the story told in 2 Kings 2, he was swept into the sky in a whirlwind. Because he never died, he frequently makes cameo appearances in Jewish literature and folktales. One never knows when Elijah might show up. A place is set for him at the Passover table, and a chair is usually prepared for him at the circumcision ritual lest he should pop in. Elijah did not "taste death." Shimon Peter awkwardly suggests they should build shelters, סכות (sukkot) for the three men. Mark parenthetically comments on Shimon Peter's awkward suggestion by saying, "He did not know what to answer, for they became terrified." (Mark 9:6) There is a ring of authenticity in Mark's comment. It is the type of thing one might expect to hear in an anecdotal retelling of the events where Shimon Peter was present. We can almost hear Shimon Peter's voice as he tells Mark the story, "I didn't know what to say! We were terrified. The Hebrew word for shelter, as noted above, is sukkah. Isn't it amazing that the Jewish tradition to invite guests into the sukkah at the Feast of Sukkot includes the invitation of notable personages from the Hebrew Scriptures? In traditional Judaism, Moses himself is annually invited to enter the sukkah. How strange it must have been for Peter to find himself living this ritual out by offering to build sukkot for Moses and Elijah. Mark tells us, "Then a cloud appeared and enveloped them, and a voice came from the cloud: 'This is my beloved Son. Listen to Him!'" (Mark 9:7) The voice from the cloud is meant for the benefit of Shimon Peter, James and John (and of course all the rest of us who read their story). The voice addressed them directly and explicitly declared Yeshua to be Messiah, Son of God, the Beloved One, the Prophet like Moses to whose words they must listen. Their hopes were not in vain. They were following the right man-even if it meant following him to Jerusalem, arrest, suffering and death. 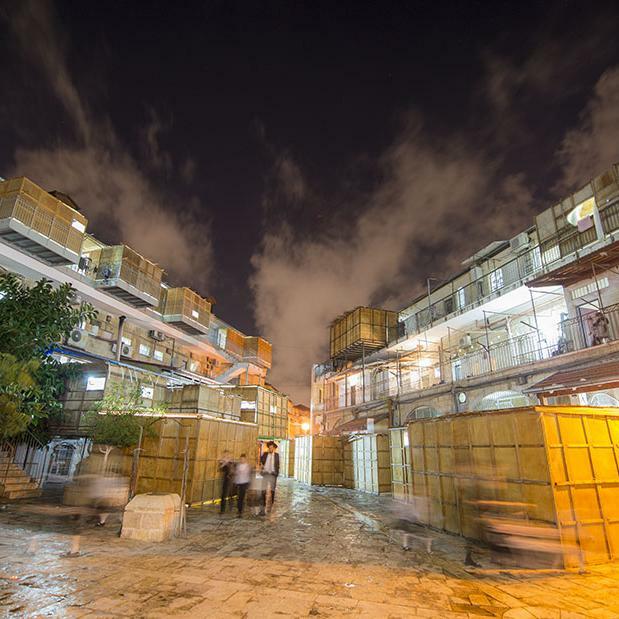 Amazingly, the Cloud of Glory is also associated with the Festival of Sukkot. Based upon the Aramaic version of the Torah, some of the Sages referred to the Feast of Sukkot as the Feast of the Clouds, specifically the Cloud of Glory that sheltered Israel in the wilderness. The Talmud records one opinion that the Sukkot in which the Israelites of the wilderness lived were none other than the Cloud of Glory which went before the hosts of Israel. This association is based on the Aramaic translations of the Torah. The Targums translate the Hebrew sukkah (סכה) with a word than can actually mean "clouds" (מטליא, metalaya). The double meaning of the Aramaic word led the Sages to interpret the structures of the Feast of Booths as symbols for the Cloud of Glory (i.e. the Divine Presence) that overshadowed Israel in the wilderness. 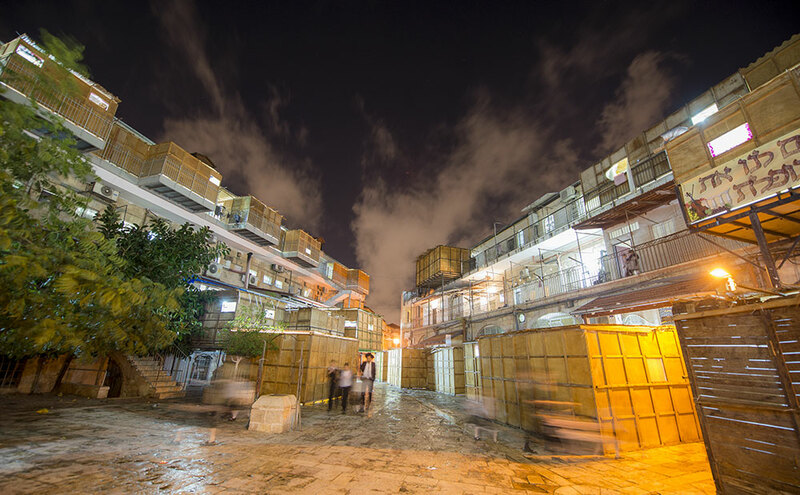 In the transfiguration narrative, the Cloud of Glory appears immediately after Shimon Peter offers to build three sukkot. If we were Aramaic speakers, the connection between the sukkot, the Feast of Sukkot, and the Cloud of Glory would be more obvious. In addition, the interpretation equating the sukkah and the Cloud of Glory may stem partly from Isaiah 4 where the prophet Isaiah invokes sukkot imagery when he speaks of Messianic Jerusalem. Isaiah's cloud over the New Jerusalem is obviously borrowed from the Torah's wilderness narratives. He calls it a sukkah. Thus the wilderness Cloud of Glory that led Israel through the desert, rested on Mount Sinai, and filled the Tabernacle is specifically connected with both the festival of Sukkot and the Messianic Age to come. What did the Master mean when He said, "Some who are standing here will not taste death before they see the Kingdom of God come with power"? The three who ascended the high mountain actually did see the Master basking in the Father's power and glory. In a sense, these three disciples were granted a foretaste of the "Kingdom of God, come with power" because they saw the King in His splendor, clothed in the power and the glory to be revealed when He comes. They experienced a miniature version of that coming day and hour, annually rehearsed in the rituals of the festival of Sukkot. Similarly, it is our privilege, year after year, to celebrate Sukkot, building our sukkot, inviting guests, and anticipating that day when we will see the Son of Man revealed in His Father's glory. In that day, we will no longer taste death. For example, see Luke 24:27. This midrash adds to the common theory that Moses and Elijah are the two witnesses of Revelation 11. Adapted from: First Fruits of Zion, Messiah Magazine #83, written by D. Thomas Lancaster.